Listing Office: Realty Source, Inc. Accepting back up offers. Spectacular views, ocean breezes & indoor/outdoor lifestyle in this Hacienda Sur plan Santaluz home. Fantastic floor plan with Great Room (4 sets of french doors), master bed & luxurious master bath plus adtl. bedroom downstairs. Chef's kitchen complete w/ granite counters & Kitchenaid appliances. 2 bedrooms upstairs w/ Jack & Jill bathroom & sunny loft/study area. Outdoor veranda with custom water feature, built in fireplace & large covered patio, great for entertaining. SchoolsClick map icons below to view information for schools near 7751 Doug Hill Ct. San Diego, CA 92127. Home for sale at 7751 Doug Hill Ct. San Diego, CA 92127. 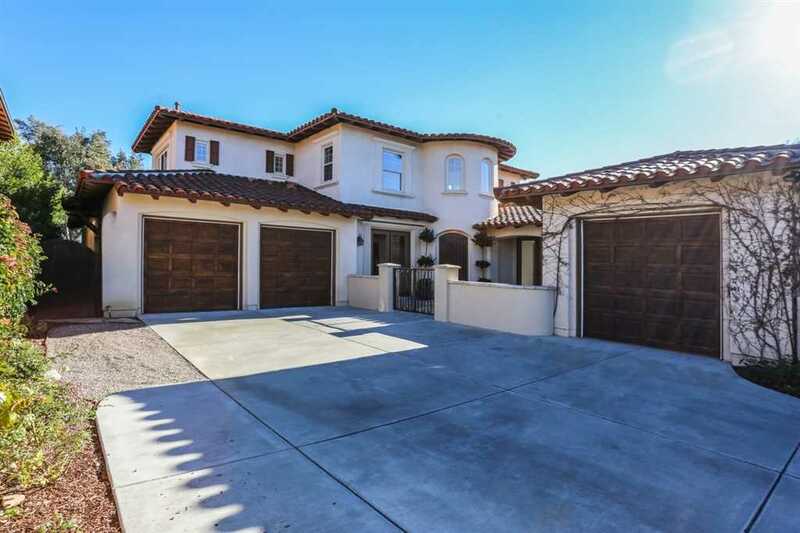 Description: The property at 7751 Doug Hill Ct. San Diego, CA 92127 in the Santaluz subdivision with the MLS# 190004792 is currently listed for $1,440,000 and has been on the market for 91 days. You are viewing the Sandicor listing details of the home for sale at 7751 Doug Hill Ct. San Diego, CA 92127, which features 4 bedrooms and 4 bathrooms, and 3582 sq.ft. of living area.